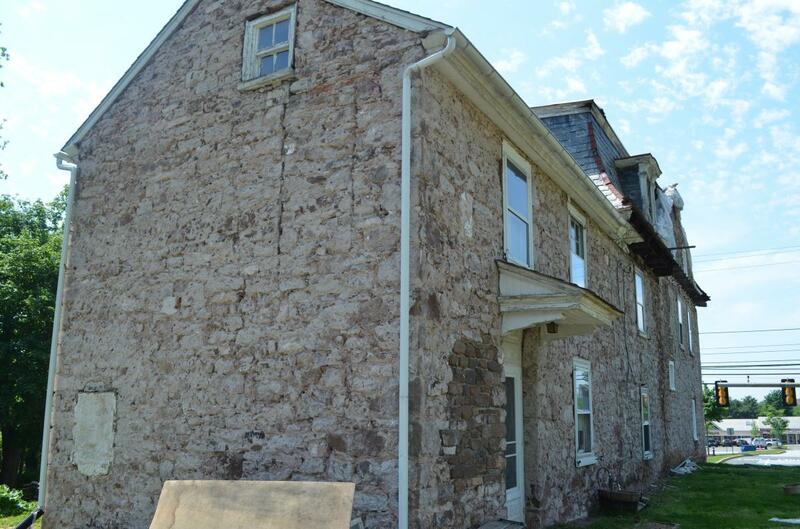 Brandt is working to restore the "Speaker&apos;s House," part of Historic Trappe. 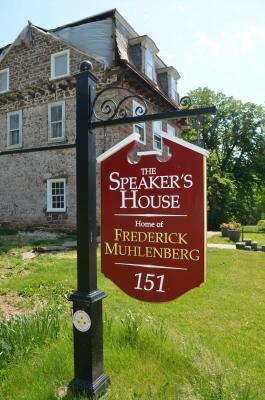 The house is named in honor of Muhlenberg’s role as the first Speaker of the House of the newly formed U.S. Congress in 1789. 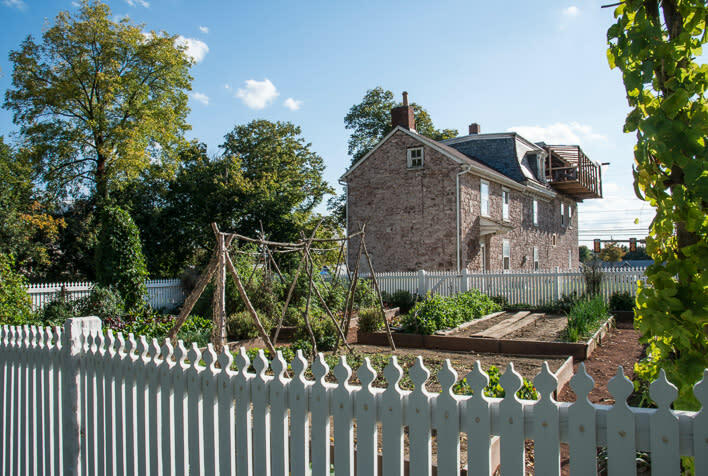 The home in Trappe was built in 1763. Over the ensuing decades, it changed hands numerous times and was renovated repeatedly. Brandt and a team of skilled volunteers are now bringing it back to its original look. “I’ve been playing with old buildings since before I was in high school,” he says. “I’ve always gravitated toward this; I’ve always liked farms and farm buildings. One thing leads to another, and once you get a reputation as somebody who can fix a barn, you get called for all sorts of weird and wonderful things. Brandt’s career began with a degree not in history, architecture or engineering but agriculture. To date, the most ambitious part of the Trappe project was bringing back the home’s four corner fireplaces. That work began in the sub-basement, where Brandt had to shore up the foundation before assembling the massive stonework. 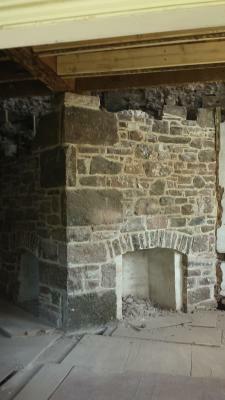 “These fireplaces were removed during a remodel circa 1880,” Brandt says. “There’s about 150 tons of stone in the new hearths we put in. My chiropractor is very happy,” he jokes. The fireplace project, however, is about to be eclipsed by the house’s next phase. The restoration team will be removing the 1880s Victorian mansard roof, returning the building’s profile to its original 1763 pitched roof. “We’re going to get a crane in and pluck two existing roofs off intact,” Brandt describes. 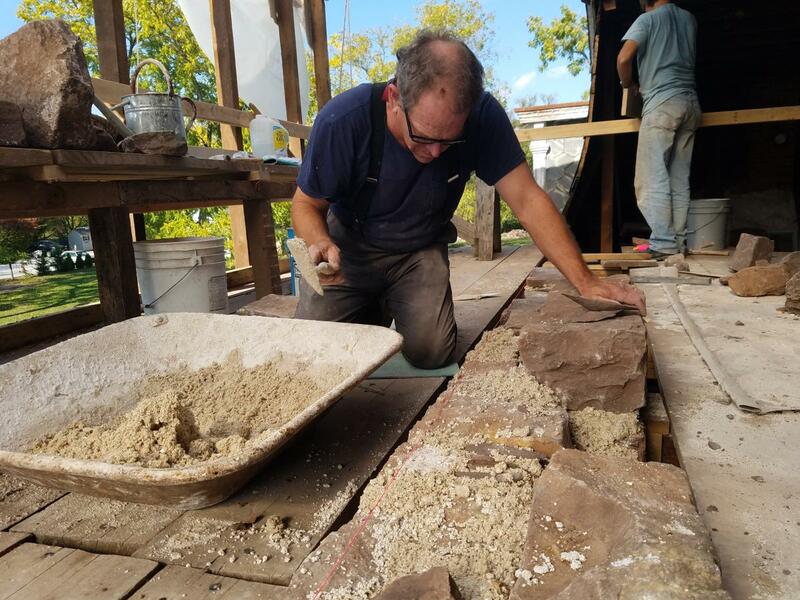 “The reason we’re doing it that way is because some of the material from the 1763 house got reutilized in the circa 1880 remodel. “We are really treating the roof like an archeological site. There’s so much information to be teased out of those boards. And it needs to be done carefully and methodically. But in doing that, we would expose the rest of the house to the weather while we investigated the mansard roof. “Bringing a crane in a lifting off the two roofs, we can have our cake and eat it, too. We can quickly get the new roof on. And still have the archeological evidence of the old roof, without exposing the house to the elements. “I figure if we get decent weather, we’ll have it all licked in a day,” Brandt optimistically predicts. In essence, this lady of Trappe is removing her frilly Victorian hat and replacing it with a workaday bonnet that is more in style with the rest of her outfit. The feat of engineering is open to the public. The work will begin at 9 a.m. on June 10 and is expected to last until sunset. “Show up,” Brandt invites. “Bring a blanket. Bring some sunscreen. There will be refreshments, but you can bring your own as well. The Speaker’s House is a very cool hidden treasure. Come out and see what we’ve been up to with it. 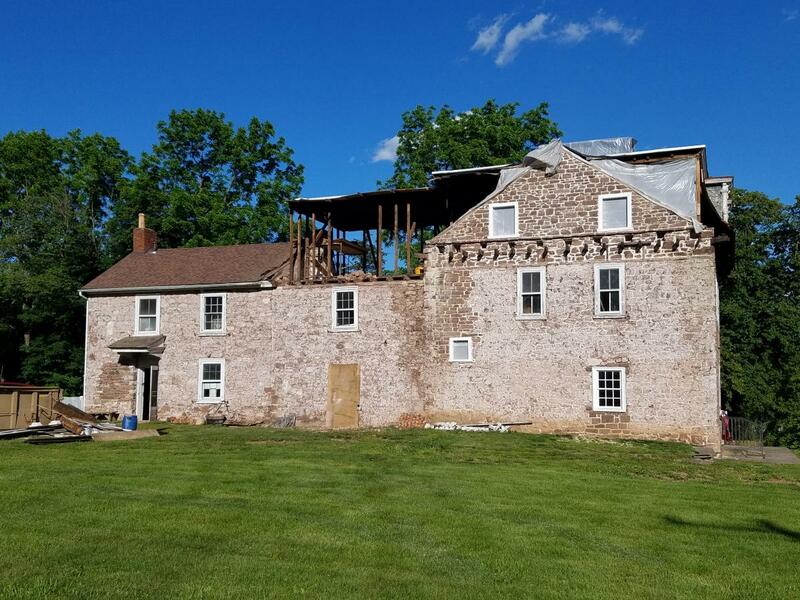 This restoration is just a small part of the larger celebration of the tricentennial of Trappe Borough; visit the website of Historic Trappe for more information.